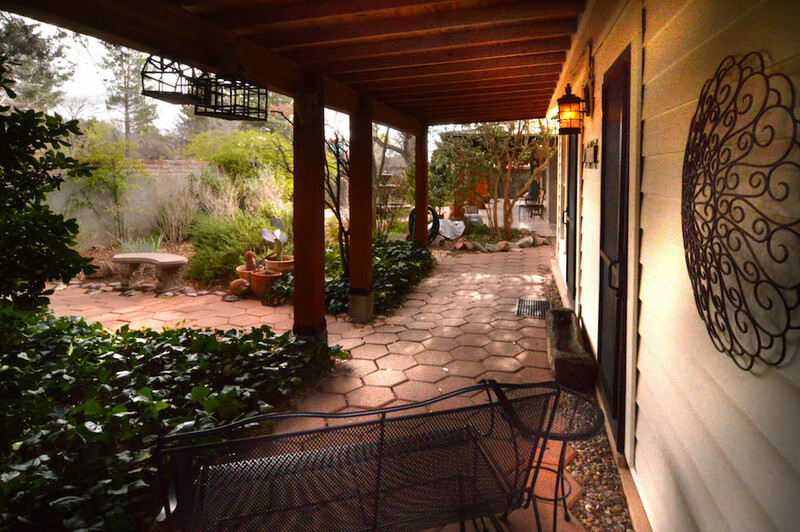 2 overnight vacation rentals situated in the heart of historic Patagonia. 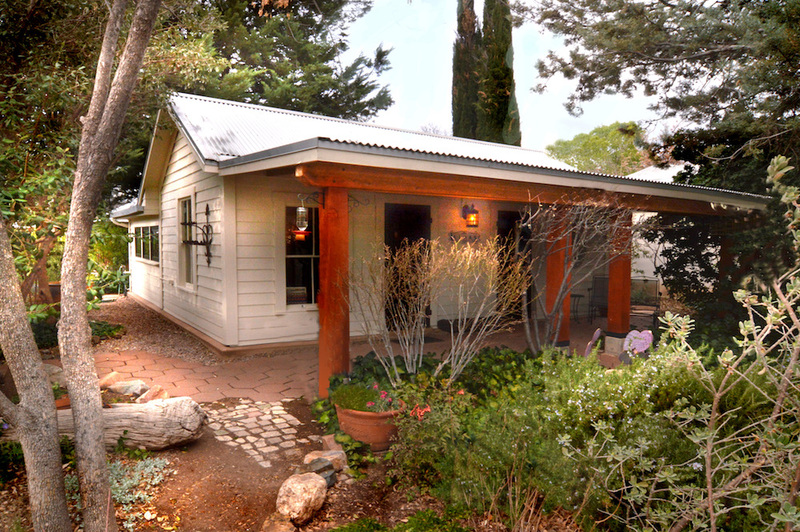 Behind high garden walls, nestled in garden settings lush with mature trees & flowering plants, Casita Frontera & Alma’s Cottage each enjoy unique privacy + village conveniences. Patios & porches are ideal spots for reading, relaxing, bird watching, or evenings with friends & family, stargazing under dark skies. Shopping, dining, entertainment, hiking, birding, wineries, adventuring, Lake Patagonia & so much more are a short walk or drive away. 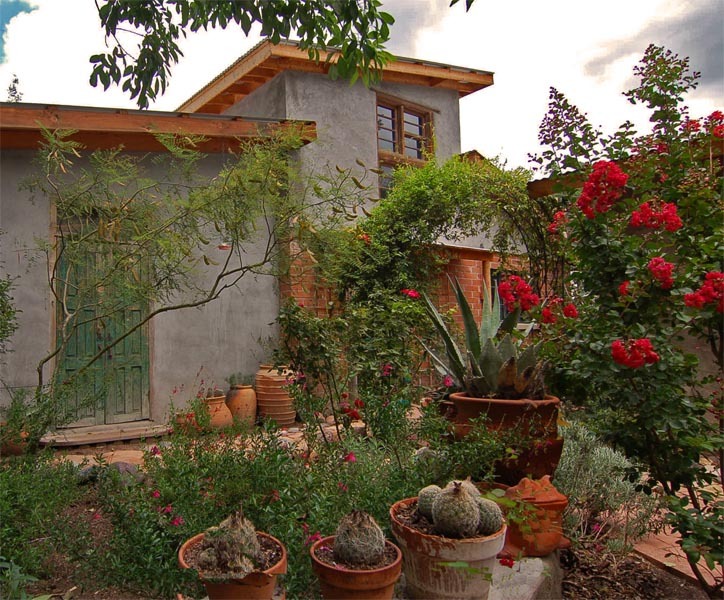 CASITA FRONTERA’s studio-loft atmosphere includes living, kitchen, dining & sleeping areas + 3/4 bath at ground level. A stylish spiral staircase leads up to its sleeping loft. Included are two queen beds & one twin; the 3/4 bath features an o/s walk-in shower lined with Mexican tiles. The kitchen is fully equipped, including dishes & cookware. Laundry facilities are available on site. ALMA’S COTTAGE is a historic miners’ cottage with kitchen, sitting room & two bedrooms- one with a queen bed & one with a twin. The full bath also includes a washer/dryer. The kitchen is fully equipped, including cookware & beautiful pottery dishes. Two-evening minimum stay: $120/evening, $720/week, $1,920/month (1-2 adult guests). $35/evening/each additional adult guest. 9% sales tax applies. 50% deposit required & 75% refundable with 14+ day notice. Bookings for longer than one week require prepayment in full & 21+ day cancellation notice. Cash, Check, PayPal, or book through VRBO or AirBnB. A pet & smoke-free environment.